We’ve officially moved to a new location! 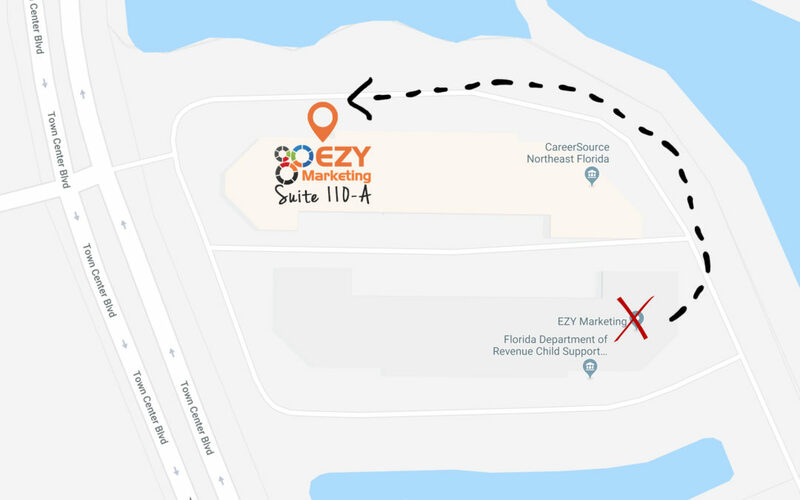 Our old offices were rented out by an entirely new company, who wanted the whole suite of offices, which means EZY Marketing had to pack up and hop around the corner to a new location. Don’t worry, if anything, we’re easier to find now than we were before! When you enter the Argus Executive Suites complex, take a left and we’re one of the first suites on the right – Suite 110-A. Feel free to stop by, say hello, and check out our new digs! Mastering Social Media in 2019 – What’s New?